The AEP DNSSEC Solution offers true random number generation for the highest quality keys, a hardened platform, key management and resilience Plus elliptic curve cryptography. To accelerate deployment, the Ultra Safe DNSSEC solution comes with a toolkit. 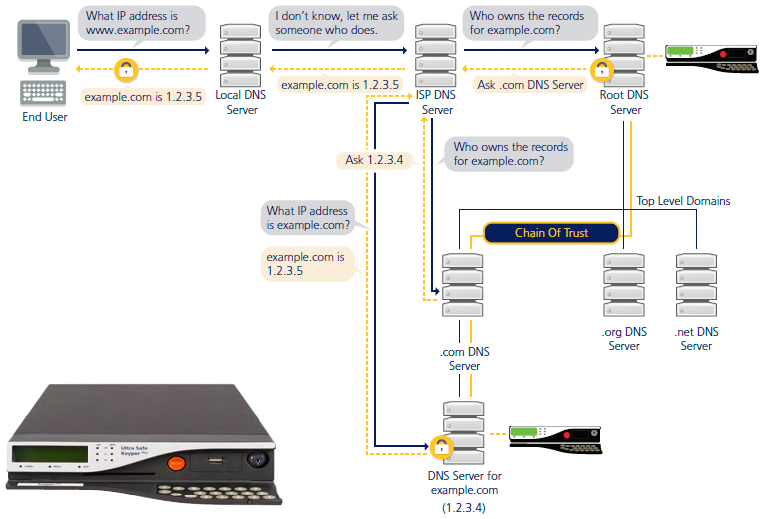 It enables out of the box key generation and DNS zone signing. This makes for a convenient test platform or a production inline signing server. The toolkit gives organisations what they need to deploy their DNSSEC solution quickly, with optimum flexibility. The AEP DNSSEC Solution offers true random number generation for the highest quality keys, a hardened platform, key management and resilience Plus elliptic curve cryptography. The toolkit consists of a pre-installed open source software stack provided on DVD. The primary component is the ISC BIND DNS Server software based on a hardened Linux operating system. 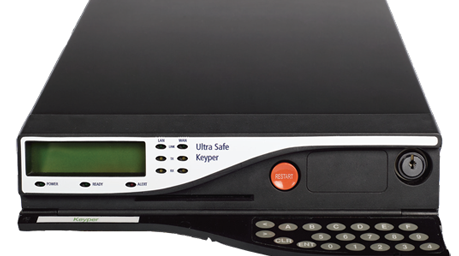 Like our Keyper PLUS the toolkit uses best in class technology. 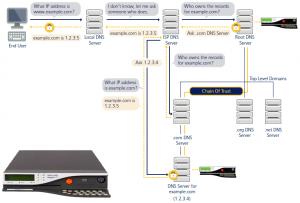 ISC BIND is the gold standard for DNS Servers on the Internet and supports the full DNSSEC standard and automatic key rollover. The toolkit makes a DNSSEC signing server easy to deploy into existing virtualised infrastructure. 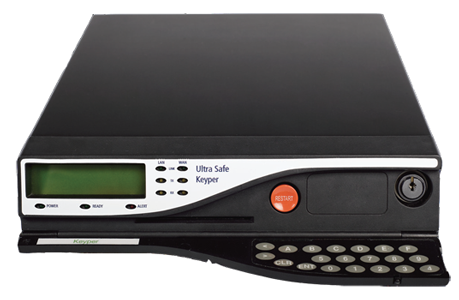 The AEP DNSSEC solution is based on the maximum security AEP Keyper PLUS HSM. In 2000 AEP lead the way with the first fully tamper-proof HSM. AEP’s Keyper has maintained the FIPS 140-2 Level 4 accreditation for fourteen years and is relied upon the world’s preeminent defence in depth strategists. Ease of deployment – Hyper-V or VMware virtual appliance eases deployment of OS and DNSSEC into service. Proven – AEP’s Keyper is deployed in the original DNSSEC implementation for the root DNS domain, hailed by Vint Cerf as heralding a new era in Internet security. AEP’s Keyper is also the foundation of the world’s most renowned top level domains.